2015-16 Super Bowl Winner Owen Daniels with his wife Angela during their engagement session in Cabo San Lucas, Mexico. The water mirrors them as the sun sets and I absolutely love it! My eyes get lost in this image. I love how Angela looks up at him and he smiles back at her. 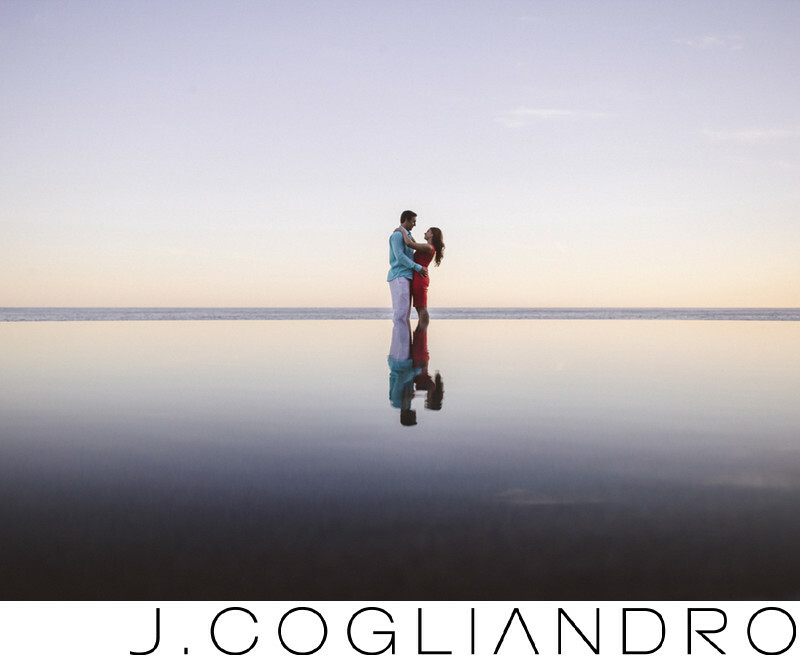 Keywords: Angela and Owen (588), Cabo San Lucas (411), Capella Pedrega (411), Destination Engagement Session (633), Event Planner: Emily with Keely Thorne Event (411), Golfing (411), Photographer: Joe Cogliandro with J. Cogliandro Photography (2883), Tequlia Tasting (411).